During her distinguished career, Denise Scotto, Esq. has represented law firms, governments, businesses, non-profits, NGOs, and individual clients. She is admitted to practice law in the courts of the State of New York and the District of Columbia, and advises clients on a wide range of matters, from Legal Analysis to Advocacy Strategy, Policy Development, Conflict Resolution, the United Nations System and Cross-Cultural Cooperation. Ms. Scotto is known for her thought leadership in communicating complex concepts easily through her dynamic presentations. As a Trial Specialist handling cases related to civil rights, labor and employment law and negligence, Ms. Scotto started her career as an attorney in the Office of the Corporation Counsel of the City of New York. She represented the City of New York, its various agencies, including the Board of Education, the Health and Hospitals Corporation as well as City employees at all phases of trial and at the appellate level. She later worked as in-house Special Trial Counsel for Nationwide & Wassau insurance companies where she tried high-profile cases and supervised outside counsel. Ms. Scotto’s legal skills and management background served the United Nations Department for Economic & Social Affairs. Her responsibilities included acting as a liaison with UN Secretariat Departments, UN specialized agencies, governments and all sectors of civil society. She organized high-level panels and special events, and was actively involved in inter-governmental processes, in helping to define UN treaties, resolutions and outcome documents. She has influenced the development of government policies, national and local legislation and education relating to civic participation and engagement. Ms. Scotto has taught international human rights and courses on the rule of law as an adjunct faculty at Ramapo College in New Jersey. She has served as a judge of the prestigious Jessup International Law Moot Court Competition where she critiqued international law students’ written memorials and oral arguments. In addition to her extensive legal experience, Ms. Scotto has also been involved in organizing and speaking at many conferences and programs in the US, China, Hungary, India, Italy, South Africa, Taiwan and Thailand. 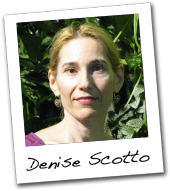 Aside from her legal and public speaking credentials, Denise Scotto holds a Bachelor of Fine Arts, and a Master of Arts. Her artwork has been exhibited in group shows at the Art Students League in New York City. She is the recipient of many honors and awards.